The Riverwood - This spacious 4 bedroom, 3 bath home features a 2-story entry foyer, separate dining room, and secondary bedroom with a full bath on the main level. The fireside family room opens to the gourmet kitchen with an island, walk-in pantry, and breakfast area. Upstairs is the master suite with tray ceiling, separate his/hers walk-in closets, and master bath with separate vanities, garden tub, and separate shower. Also on the second level are 2 additional bedrooms (with walk-in closets), a full bath, laundry room, and media room. Upgrades in this home are, hardwoods in the living area of first floor, oak thread stairs, tile bathroom floors, tile shower in master bath, covered back porch, granite countertops in kitchen and marble countertops in baths, coffered ceiling in dining room, upgraded trim package, sprinkler system, and lighting package too. This home is Move In Ready! LISTING PROVIDED COURTESY OF Ale, Reliant Realty, Inc.
305 Catherine Way, Bogart GA 30622 is a Home, with 4 bedrooms which is recently sold, it has 2,860 sqft, 0.0 - 0.25 sized lot, and Attached,Garage parking. 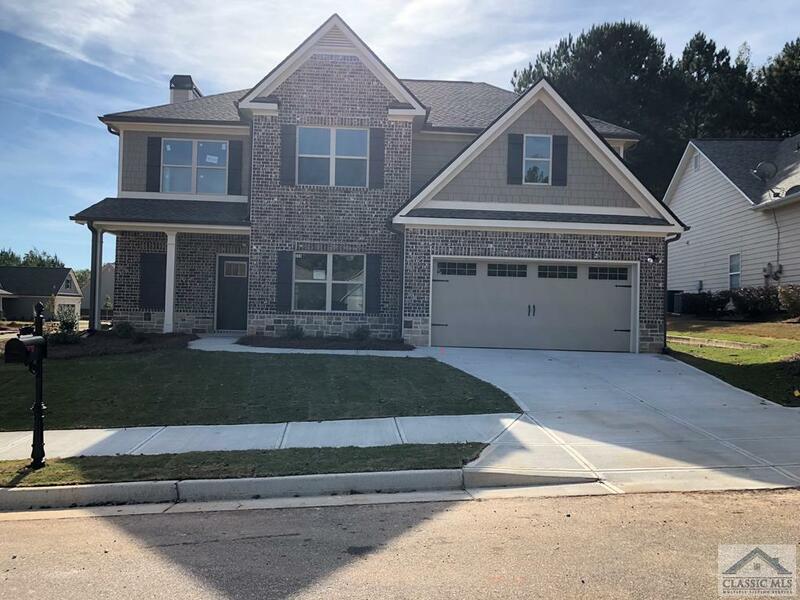 A comparable Home, has 4 bedrooms and 3 baths, it was built in and is located at 224 Meeler Cir Athens GA 30622 and for sale by its owner at $ 293,434. This home is located in the city of Athens , in zip code 30622, this Clarke County Home, it is in the Lake Meeler Subdivision, and Bear Creek Plantation are nearby neighborhoods.